Kiteboarding keeps growing in popularity every day — in part, because there’s practically no age limit to enjoy it. 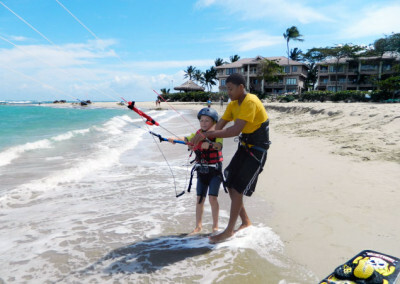 And similarly to adults, children can have a great and fun experience kiteboarding — with proper supervision. 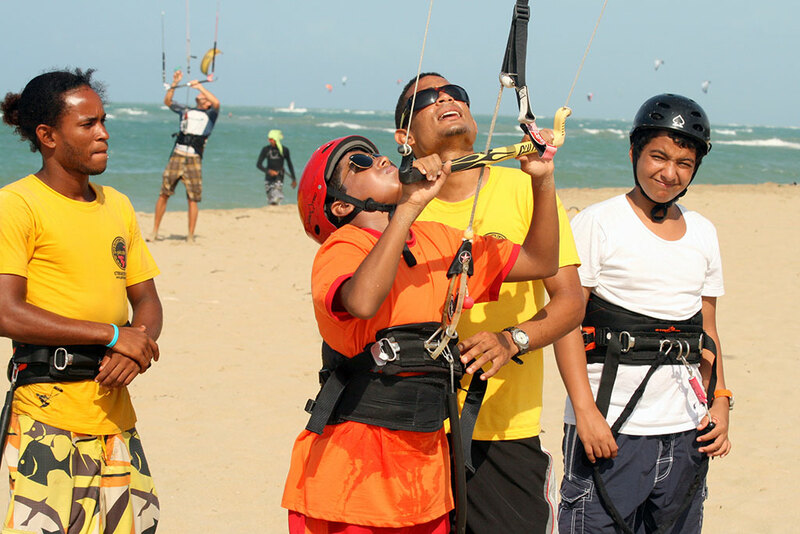 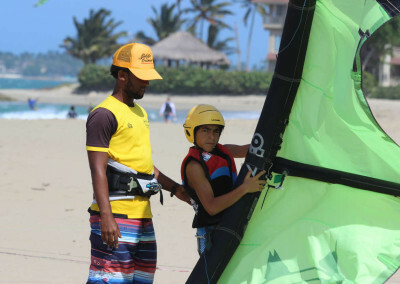 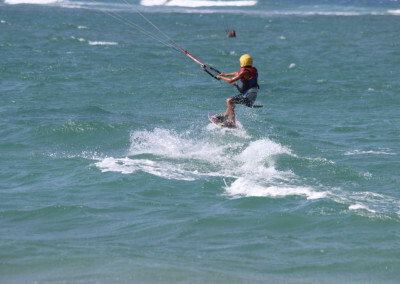 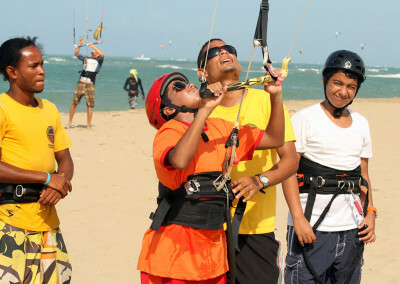 For that reason, GoKite Cabarete has designed the Kiteboarding Camp for Children. 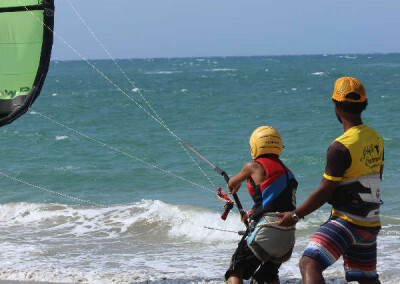 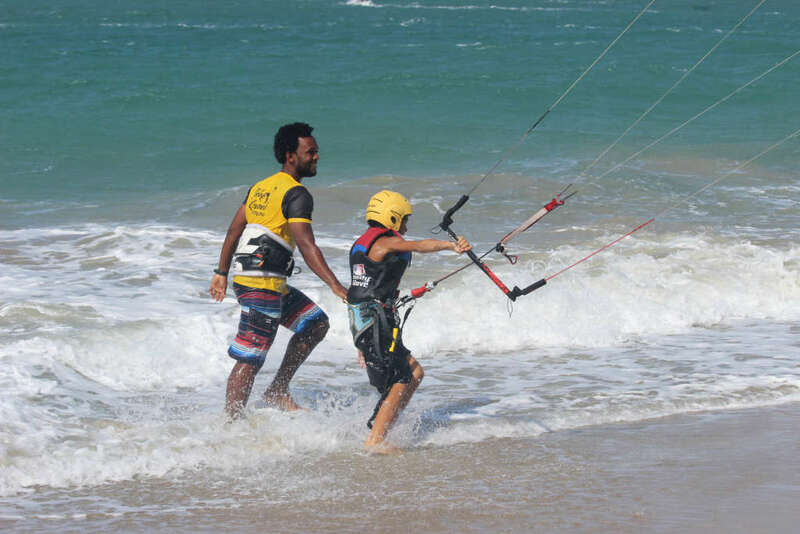 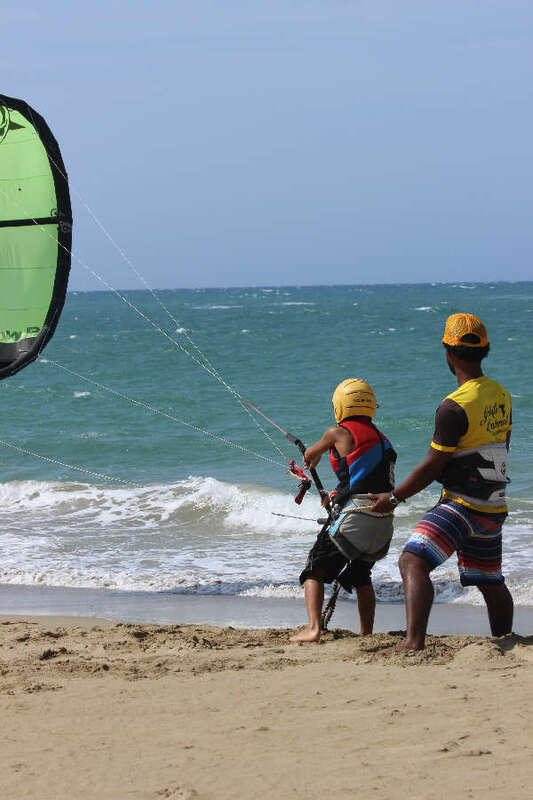 This camp is designed for children from 9 to 16 years of age, and it will be held on July 15 – 22, to take advantage of children’s summer holidays, as well as to take advantage of the best wind conditions in Cabarete. 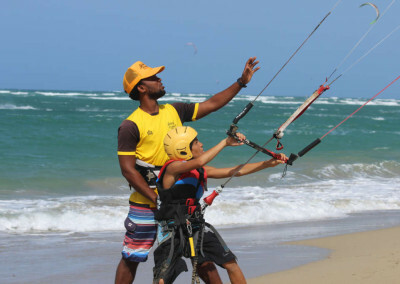 Your kids can develop new skills, gain new strength (and not just physical), and perhaps even be the next kitesurfing champion!… This water sport opens doors to a lifetime of new experiences, meeting new friends, traveling to different countries — and best of all, teaches you to grab the life by the, well, bar, without fear. 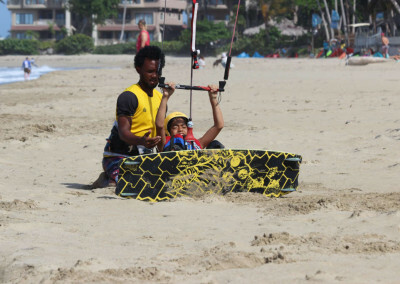 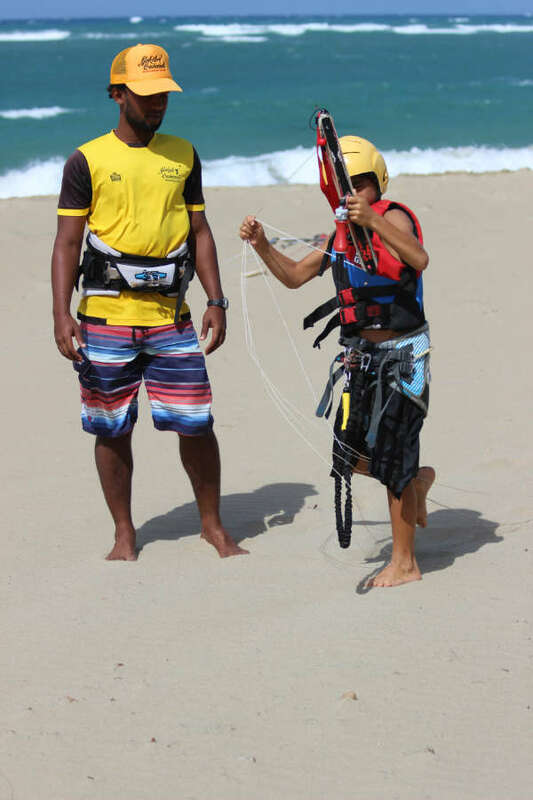 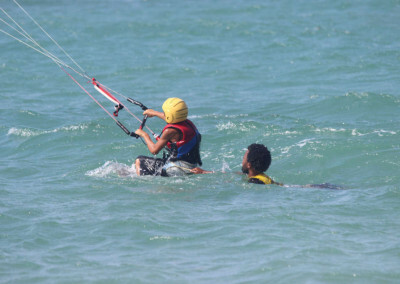 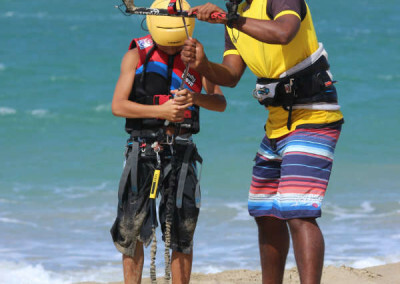 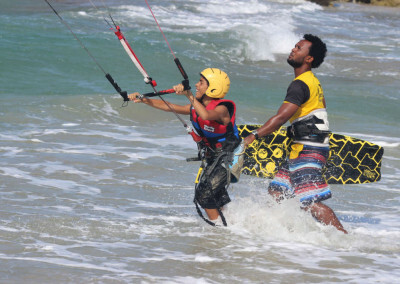 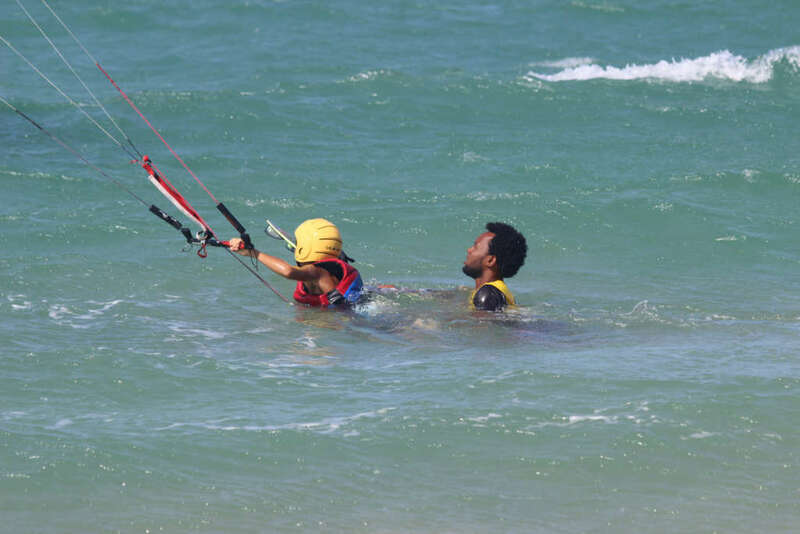 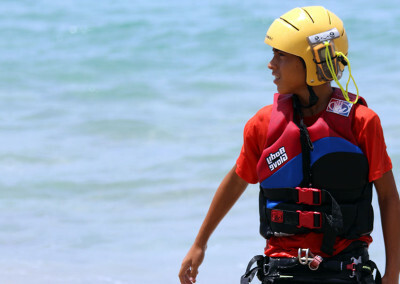 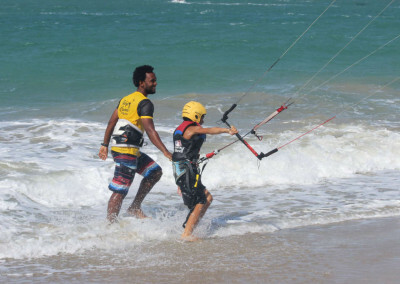 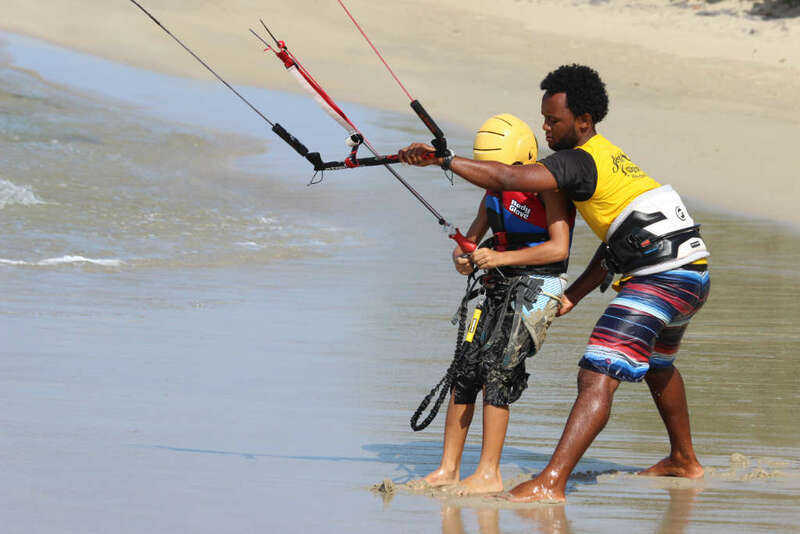 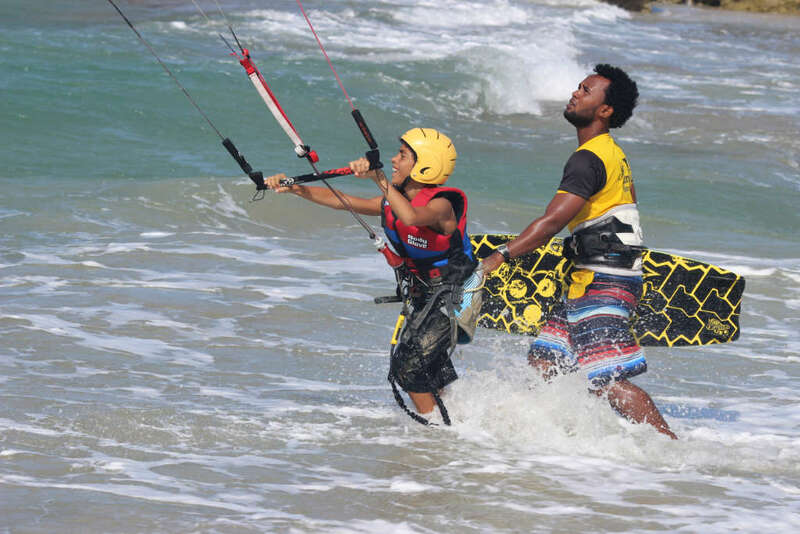 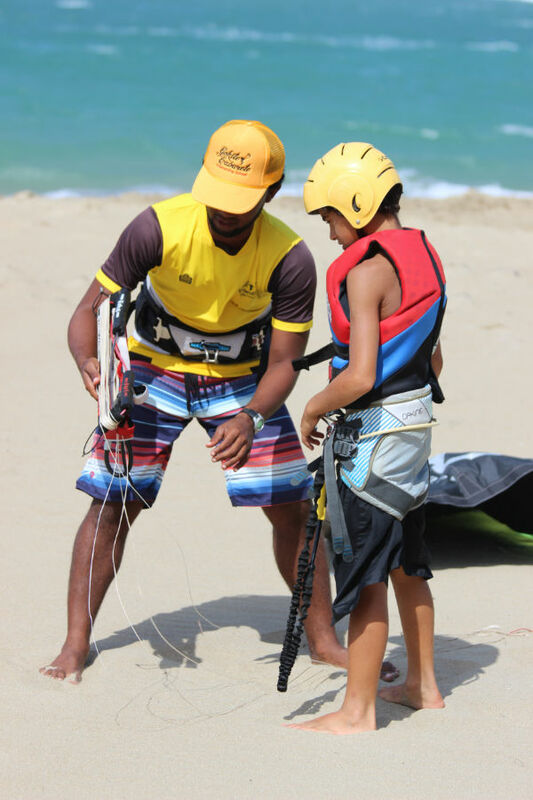 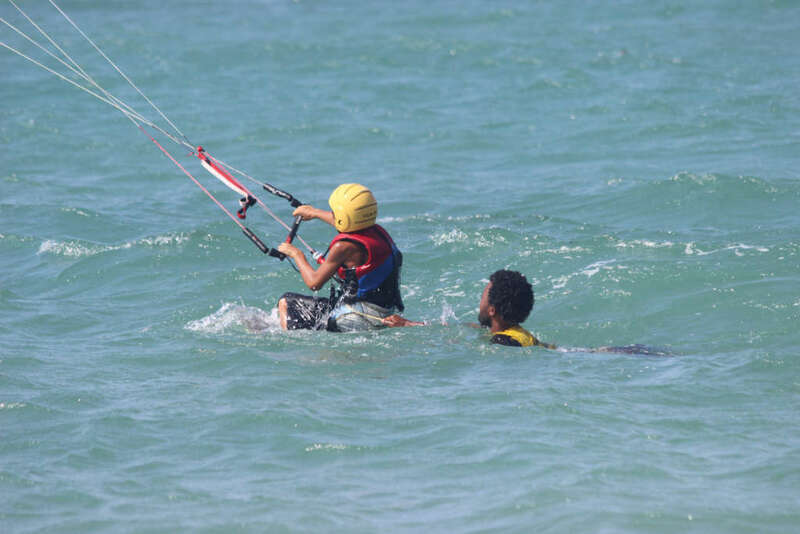 Your kids will be taught and always supervised by IKO Certified Kiteboarding Instructors. 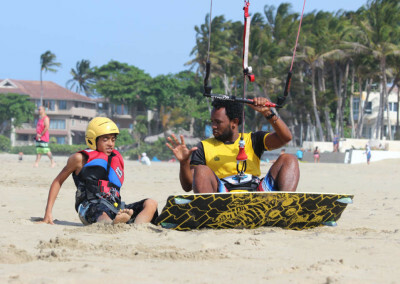 At the end of each day, we’ll have “class,” where all the children will share and discuss their learning experiences in a fun learning atmosphere. 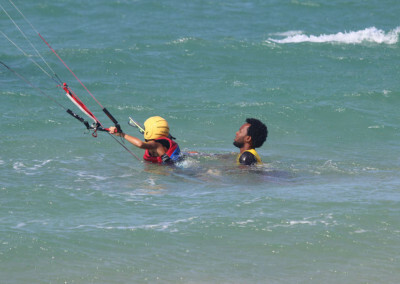 Sun-protection lotion — you’ll be out the whole day! 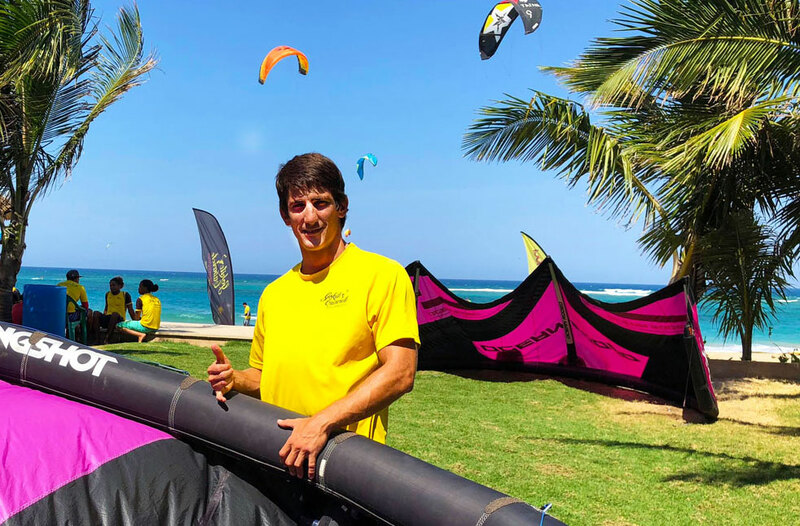 Matias has been kiteboarding since 2016, and is also a semi-pro surfer, sailor, fisherman… an “aquaholic” of sorts. 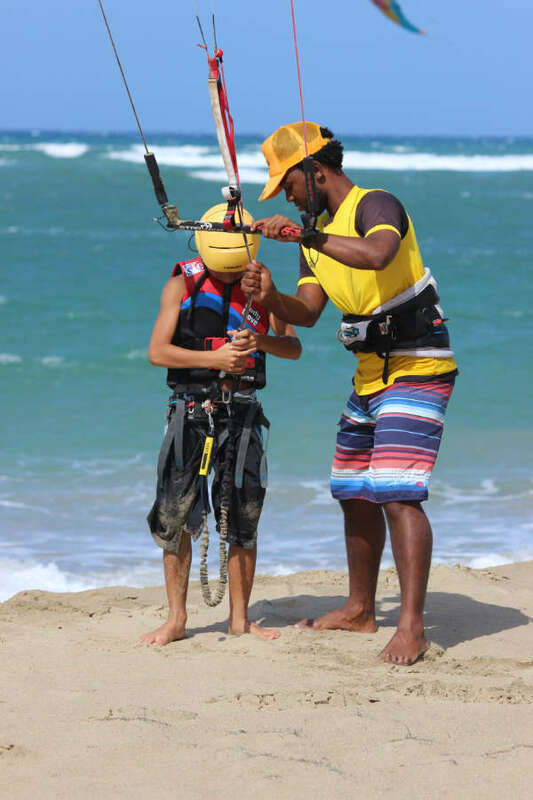 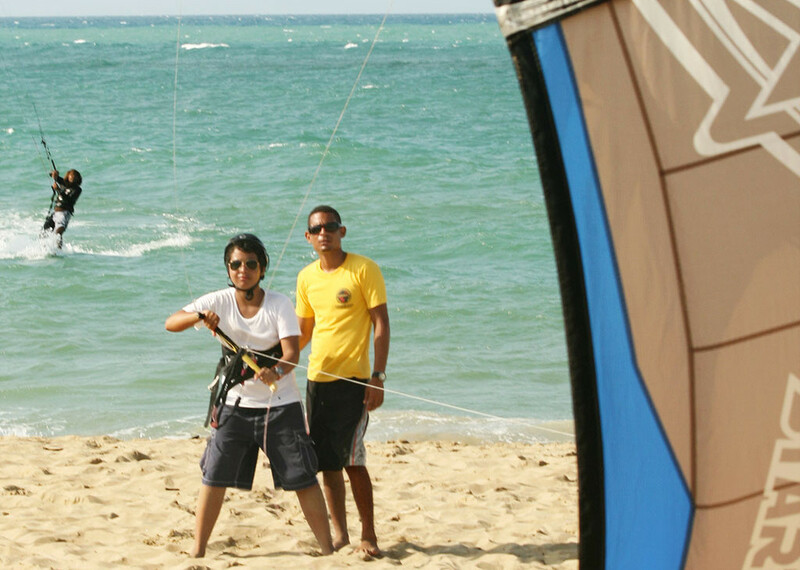 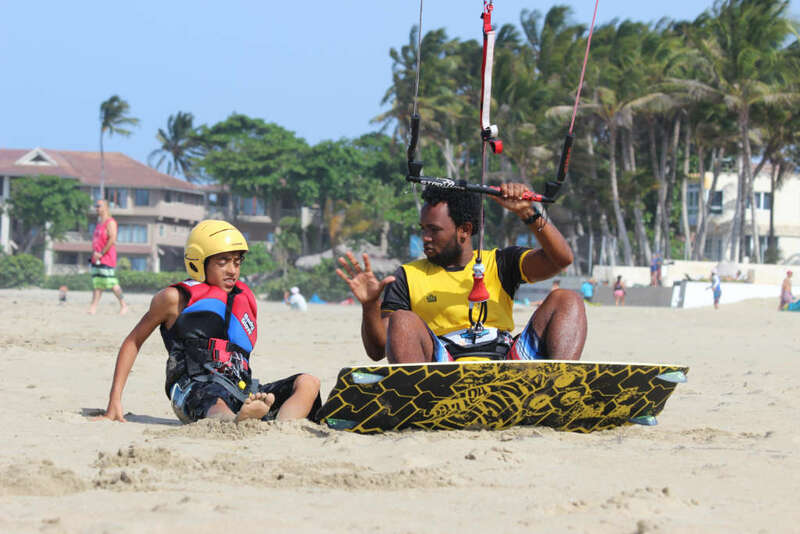 He’s been living in DR for the past couple of years, and has been one of the top GoKite assistant instructors. Matias is 25 years old and comes from Margarita Islands, Venezuela. He speaks Spanish, English and intermediate Portugese and will make your learning experience seamless.